Admit it--you're up to no good and all that styling is damaging and drying out your hair. Give it a break. This heavenly product will infuse moisture into dry damaged hair, leaving hair quenched, luscious, smooth and conditioned faster than you can say 'shine on me'. Is your hair pleading for some TLC? Help is at hand and in a hurry. In a matter of minutes this little wonder will help reconstruct damaged hair, smoothing and soothing and leaving it manageable, shiny and as ready to party as you are. This intensive conditioner has the sweet smell of safflower seed oil. Never heard of it? No worries, just say ‘pleased to meet you’ and your hair will be eternally grateful. It’s part of Aussie's magical, miraculous formula that helps mend split ends and repair roughened cuticles. It soothes and smoothes like no other--and in record time too, because Aussie knows you’ve got better things to do. The essential oil in Balm Mint Leaves has a naturally sweet scent. 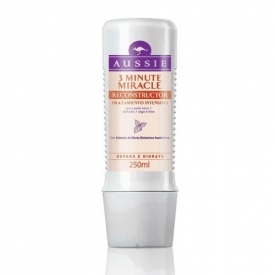 So pop a splodge of 3 Minute Miracle onto clean wet hair, breathe in and enjoy the gorgeous smell. Leave for 1-3-minutes, depending on how much of a treat it needs! Rinse with warm water. Aqua, cetyl alcohol, glyceryl stearate, PEG-12 distearate, cetramonium chloride, glycol stearate, stearyl alcohol, stearalkonium chloride, phenoxyethanol, dicetyldimonium chloride, tetrasodium EDTA, parfum, propylene glycol, alcohol, isopropylparaben, cetramonium bromide, phosphoric acid, butylparaben, isobutylparaben, acetamine MEA, glycerin, sodium lauriminodipropionate, sorbitol, hydroxylate lecithin, simmondsia chinenesis, simethicone, helianthus annuus, carthamus tinctorium, ethanolamine, avena sativa, CI 15985, melissa officinalis, humulus lupulus, foeniculum vulgare, aloe barbadensis, methylparaben, yeast extract, ethylparaben, diazolidinyl urea, propylparaben. I love the scent of this hair conditioner. The conditioner itself was good,it is easy to apply and left my hair feeling amazingly soft but did not do anything more than other hair treatments that i have tried. The smell of Aussie range gets me everytime. It makes me wish that the product actually matched up to smell but it doesn't. This does my hair worse as it goes greasy and heavy. 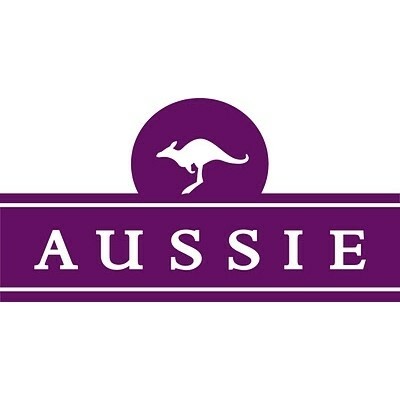 This is a great product, the packaging works well, its thick so needs to be upside down and so aussie has thought of this, I really like it overall although it doesn't give my dry hair all the moisture I wanted. A little bit pricey, Have tried better conditioners which are cheaper, Can dry out hair, Needed to use a hair serum after to combat dryness. Better for greasy, fine hair not good at all for dry, thick, coarse hair. "I love the scent of this hair conditioner. The conditioner itself was good,it is easy to apply and left my hair feeling amazingly soft but..."